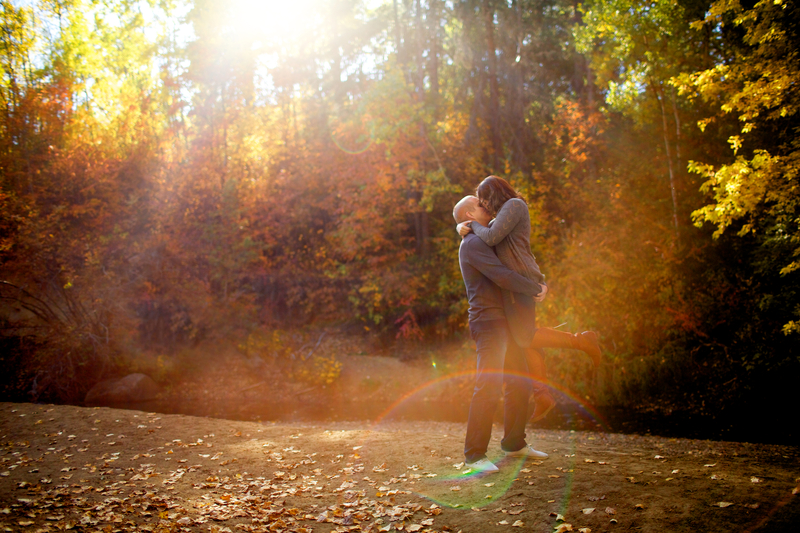 Ian and Kamera met up with us on a beautiful golden autumn afternoon for their Mill Creek Ravine engagement pictures. 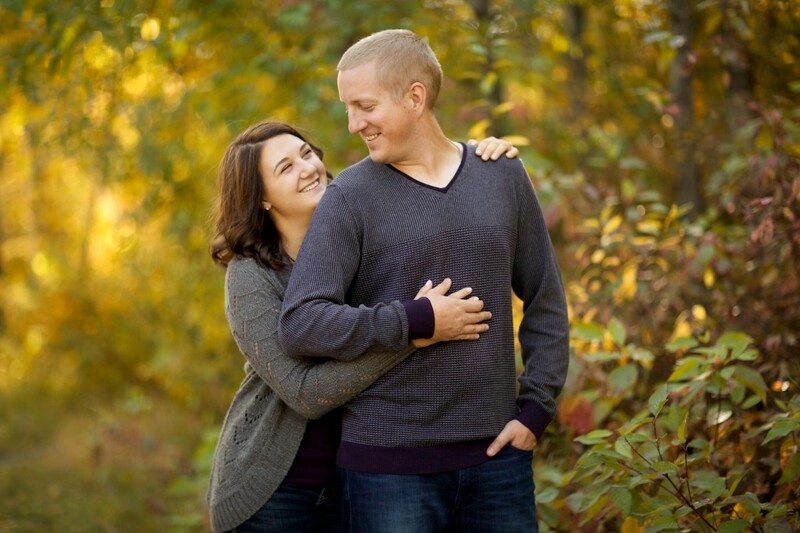 Driving all the way from Red Deer they met us at Mill Creek Ravine for an awesome afternoon full of love, laughter and some pretty awesome photos. The leafy trees in the Mill Creek Ravine had just begun to turn red and gold, so as we strolled through the park the warm afternoon light was dreamy and down right perfect. Ian and Kamera had done their homework and came prepared in perfectly coordinated outfits. Kamera also added a nice touch with her hair and makeup done. They looked amazing. 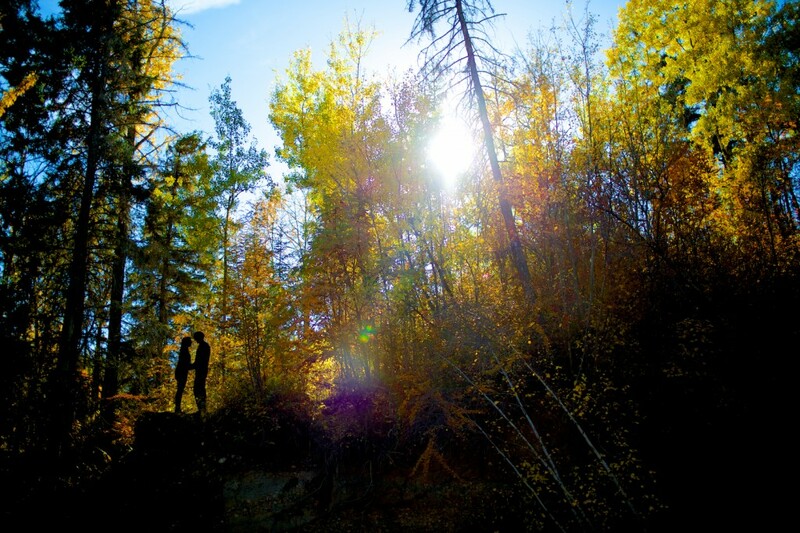 To learn more about the Mill Creek Ravine, check out the City Of Edmonton’s information page. The ravine is a massive network of interconnected trails and in the fall it is a sight to see! These pathways wind their way all across the city, perfect for a picnic, walk with your canine companion or an adventure through the forest. 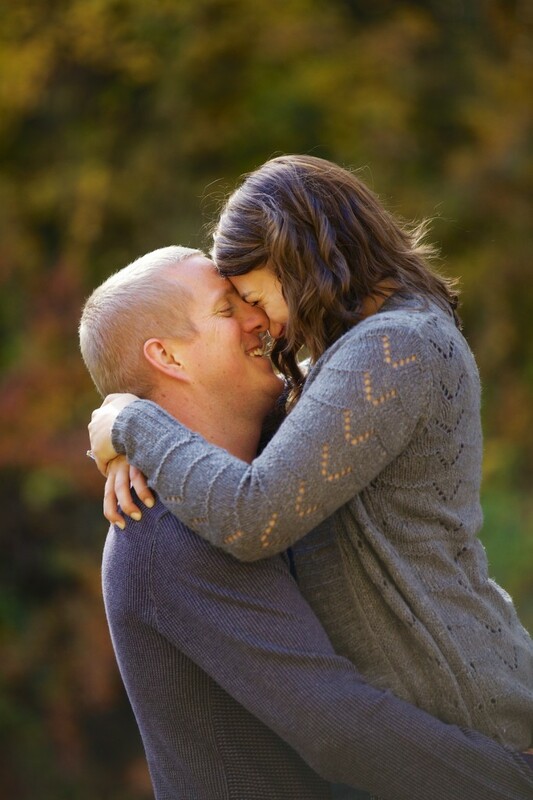 We often have couples ask us about how they should go about preparing for their engagement photos. 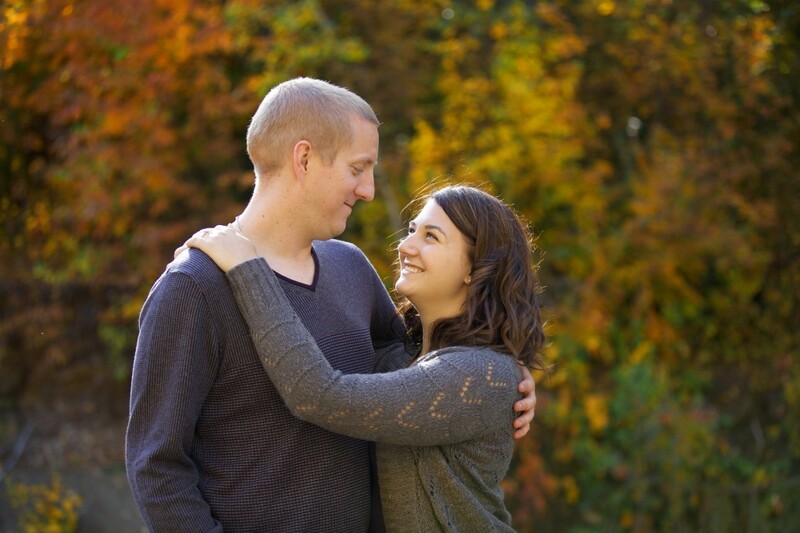 We have put together a little guide on preparing for your engagement session here. Please check it out and let us know what you think. The finishing touch to their look was their connection to each other. There was never a moment that they weren’t holding hands, whispering to each other or simply smiling. We know true love when we see it. We finished the afternoon off at the Pint downtown. 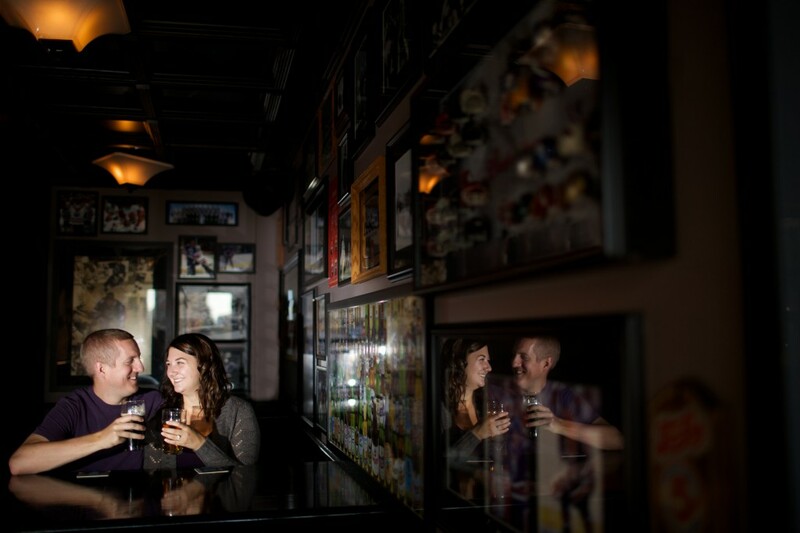 Ian and Kamera shared a much deserved pint of their favourite beer while we chatted about their wedding. 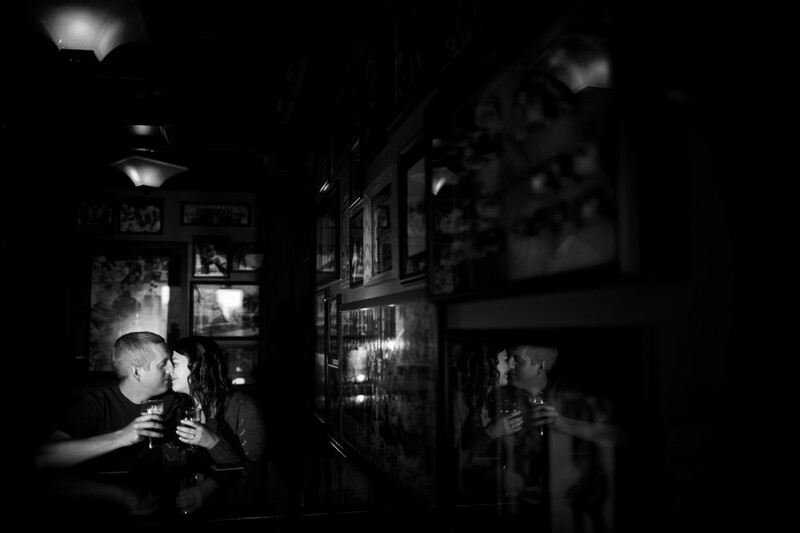 The Pint was also the perfect spot to snag some cute photos of this couple relaxing over their beverages, just hanging out and being themselves. 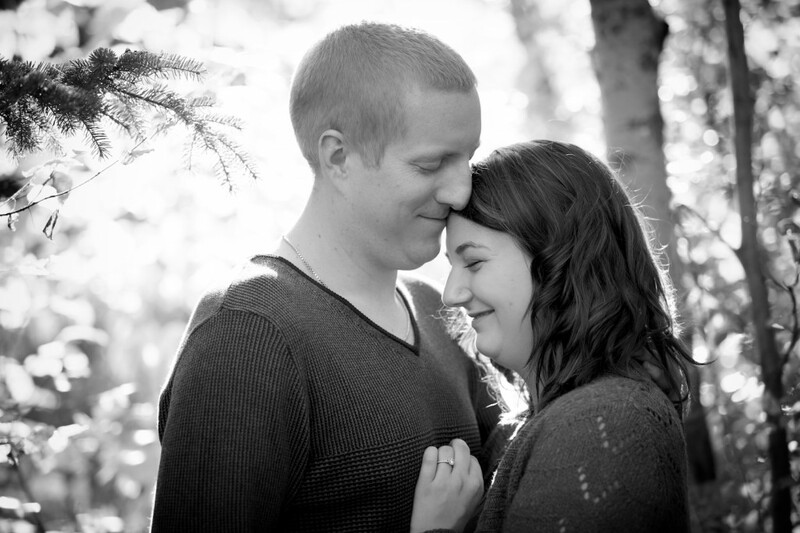 Thank you for an awesome evening of Mill Creek Ravine engagement pictures!